What is Joy? According the to english dictionary is is an emotion evoked by well-being, success, or good fortune or by the prospect of possessing what one desires. 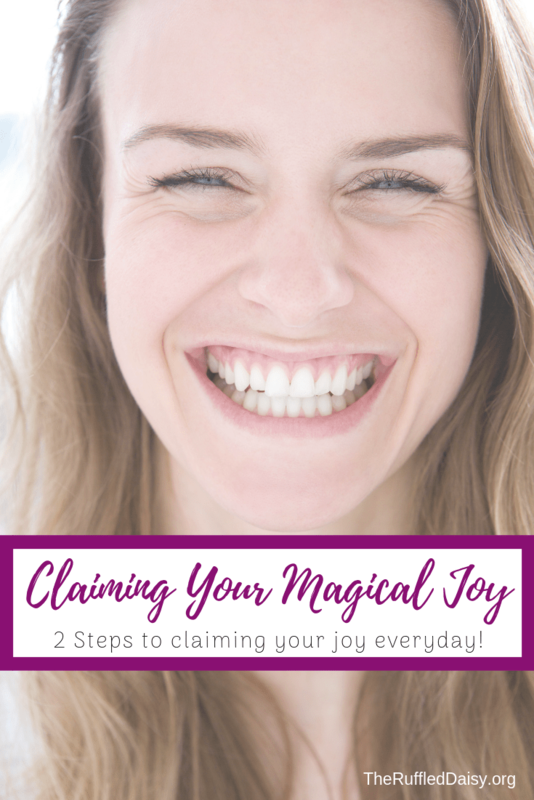 In order to have magical joy you have to chose yourself. Let me follow up by saying that this isn’t a post about selfishness! Selfishness in the sense of the word is having NO CARE for others around you. When you are done reading today, you will see what in loving yourself, you can love those around you with an even greater power! I was in the dollar spot at Target and as if being there wasn’t already my favorite; add in Christmas decor and I really am like a little girl who has just spotted her favorite unicorn! A lady saw my giddiness and child-like nature and stopped me and said “I hope you don’t mind me saying this to you, but I LOVE seeing the happiness you have for such simple things!” At first I was caught off guard and thought, “oh my goodness she’s making fun of me” and then quickly realized that she was happy to see an adult have a child-like happiness. It brought her joy just seeing me have joy! So there are two reasons I write this! One is to remind you to let the child inside of you out! Be the little girl or little boy that is inside of you and let it lead you sometimes! And secondly, to share a sweet comment with a random stranger. Her comment gave me encouragement to continue being me ❤️ despite the judgement of others. You’re going to meet people in this world that have a magical feel. They always seem to be happy filled with joy. You have to understand that being in that state is a simple choice. I can guarantee you that almost 100% of the time they choose to love themselves first and that is why they are joyful. You MUST to be comfortable in your skin. When you are comfortable and love yourself, then you can love others and share! And most importantly, you can’t love yourself until you love God. My God has been my savior and rock the past few years and he is the one who has shown me that it is OKAY to not be perfect, and it is OKAY to show the world those imperfections. There are a lot of things in this world that can drag you down. We live in a sin-filled world and every time you turn around you will see evidence of that. Because of our very nature, we are taught to hide our weaknesses and failures. There are many of you that put on a lot of different masks every morning just so you can make it through your day. In doing that though, you will never truly be joyful. You will not show magical joy I am speaking of that is true and real, until you chose yourself. It means accepting every part of you! The parts that are great! The strengths and the gifts, and sharing them with the world. It also means accepting the faults and weaknesses. The ones you don’t want and the ones that you are always working on. It means being unapologetically YOU in your skin. You are not going to show or exude any amount of true joy in your life if you do not 100% accept yourself first. BE UNAPOLOGETICALLY YOU – Forget the stigma of showing perfection to society and STOP pleasing others. Are you consumed with grief, shame, resentment, or guilt? IT’S OK! Do you know why? Because we have all felt every single one of those things. 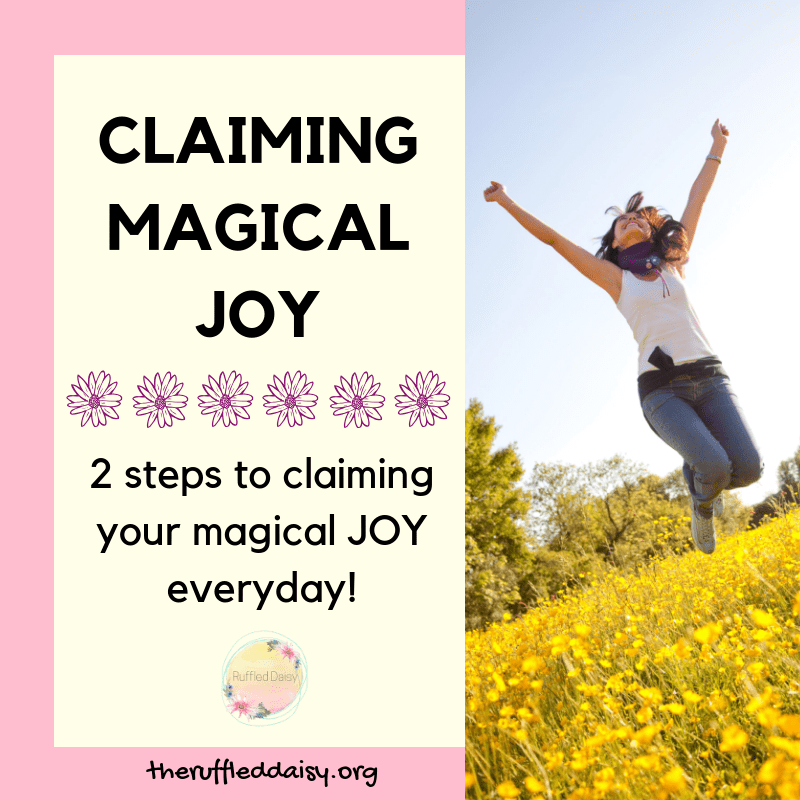 Even the person who shows the magical joy you are striving for has had those exact feelings. The difference is that they didn’t let it define them! They ACCEPTED who they were, strengths and weaknesses, and loved themselves despite the hardships and mistakes. I’m a failure! I have not only failed myself, but I have failed family members and many people around me. I could beat myself up DAILY and, I’ll be honest, there are some days that I do. I have to constantly reconnect and remind myself that it is OK. If you’re struggling with the pain that you have inside of you, know that does not make you a bad person or someone who can’t share your gifts with someone else. When you are filled with joy, the struggles and hardships will be easier to tackle because YOU KNOW that they don’t define you. LIVE THE CHILD THAT IS INSIDE OF YOU – that little boy or little girl that is inside of you is the same one who looks at the world with innocence. When you think of your child or someone else’s, innocence always comes to mind. As we grow older, we tend to lose that and let our hearts become hardened with the struggles of the world. Have grace with yourself and let that child come out to play sometimes! And don’t be afraid of who sees it and doesn’t approve of it. That little child is there to show you to be easy on yourself. The joy I’m talking about is the joy that shows when a child is excited about life!! They look at everything with passion and anticipation! It has taken me YEARS to not only share but see for myself the magical joy that is inside of me. Someone else is looking for your gifts of imperfections to show them that there is beauty in them. So take your imperfections, love them, appreciate them for what they are, and share them with other people. When you do, you will show magical JOY and have true joy in your heart.